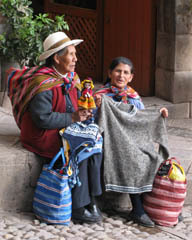 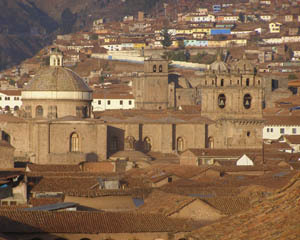 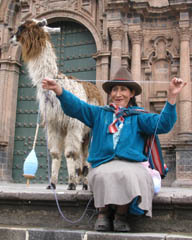 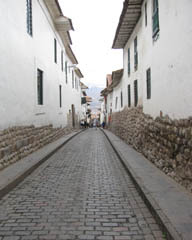 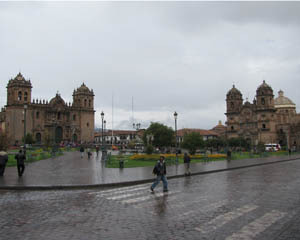 Cusco, Palacio Street. 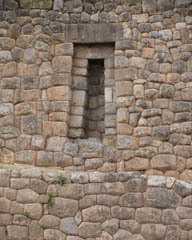 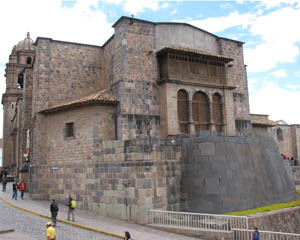 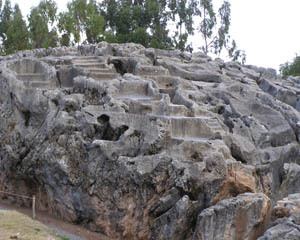 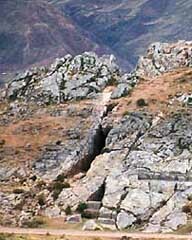 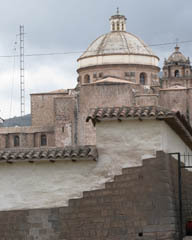 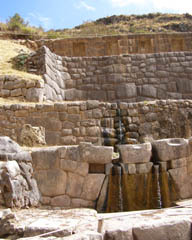 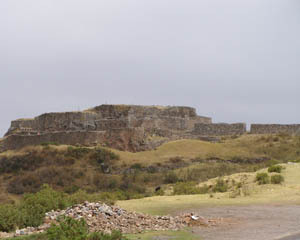 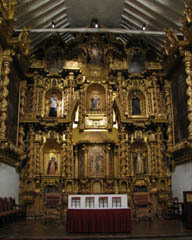 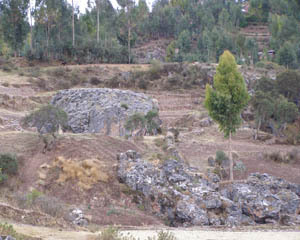 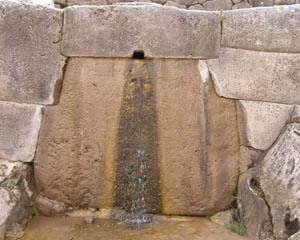 The Spanish built on top of Inca structures and used Inca stones. 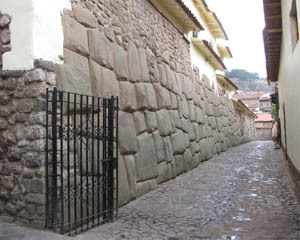 Cusco, Inca walls supporting Spanish construction Cusco, Koricancha (place of gold). 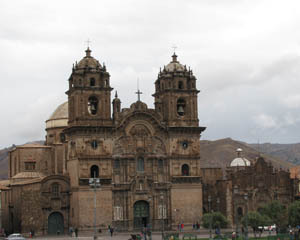 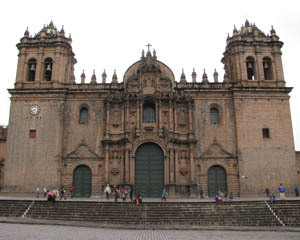 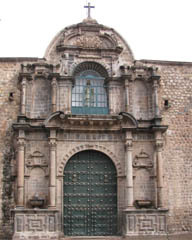 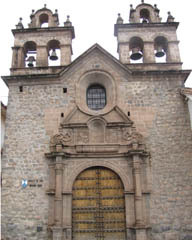 Santo Domingo Church was built upon temple complex, which included Temple of the Sun. 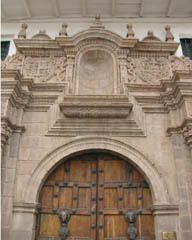 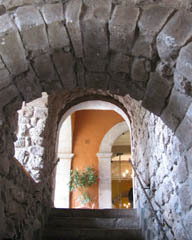 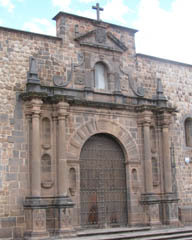 Cosco, Inca Roca Palace doorway. 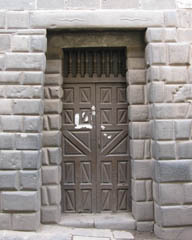 Double door with snakes on lintel. 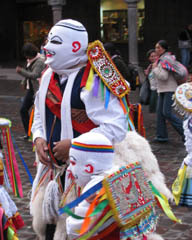 Small chacana (3-step motif) on right side. 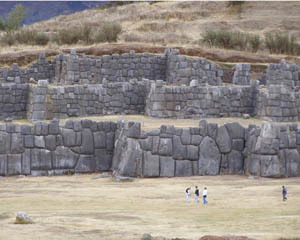 On road from Cusco to Sacsayhuaman, Colcampata, Inca Manco Capac Palace Sacsayhuaman, Sun Temple complex with smooth perfectly fitted giant blocks. 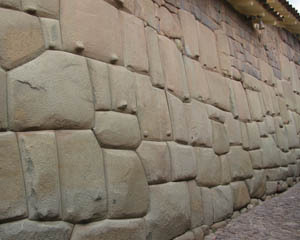 Sacsayhuaman, zig-zag wall of giant blocks. 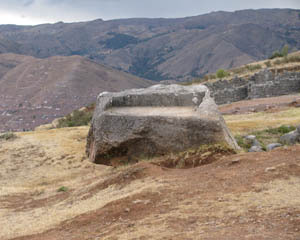 Sacsayhuaman, ceremonial rock Huaca (special place), near Sacsayhuaman Temple of the Moon, cave (large crack) in limestone, notheast of Cusco. 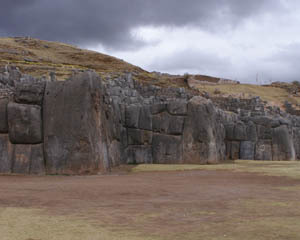 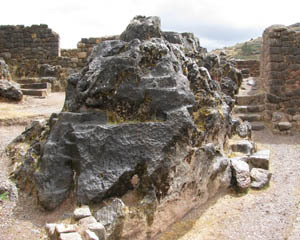 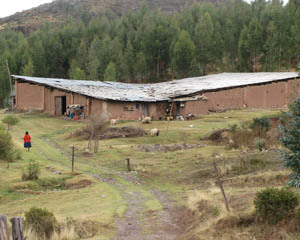 Qenqo, ceremonial complex, northeast of Cusco, located between Sacsayhuaman and Temple of the Moon. 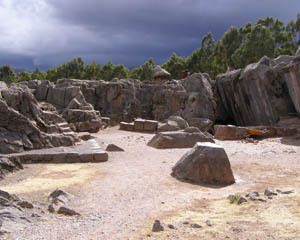 Qenqo, Ceremonial area with ceremonial rocks. 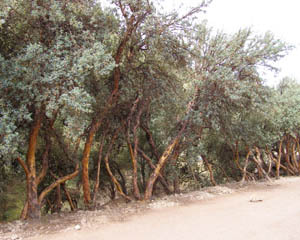 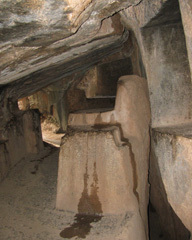 Qenqo, cave carved in shape of lama's head. 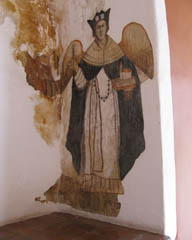 For mummification? 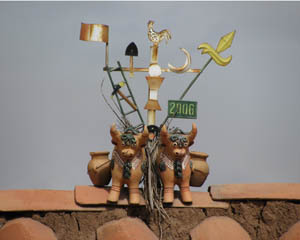 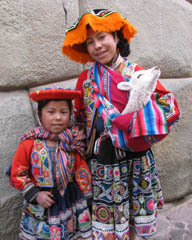 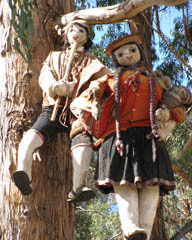 Qenqo, ceremonial dolls Cusco, Inka Museum, Pachu Papa Pachu Mama Outside Cusco, bulls on roof top.